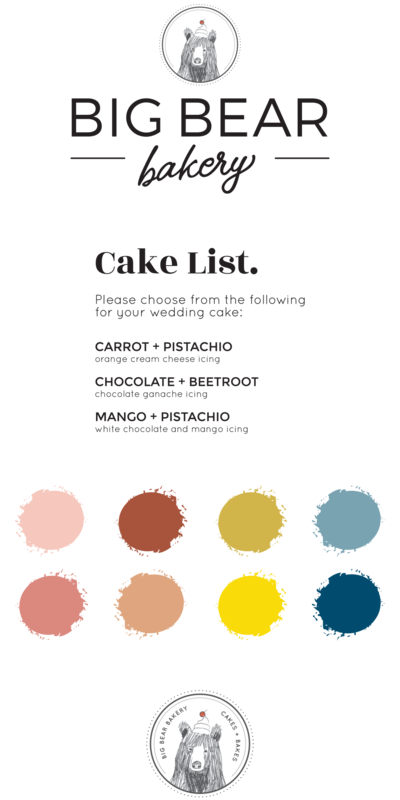 Big Bear Bakery is a Glasgow-based bakery, selling cakes and bakes to the trade as well as catering weddings and events, and selling celebration cakes to the public. We worked with them on a complete overhaul of their digital marketing, starting with a rebrand that built on their brilliant existing illustrated bear mascot, through a new e-commerce website and a suite of new photography and video assets, and a social media launch to boot. 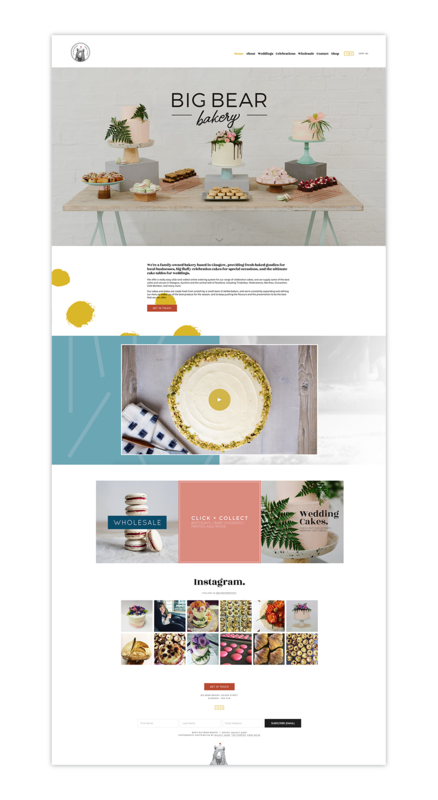 Repositioning Big Bear Bakery particularly in the wedding market and taking advantage of their key strengths - big, bold cakes and bakes with strong flavours and beautiful minimalist design; a specialty in dessert tables - was a key consideration from the start of the branding and design process. These differential factors were baked into everything we did with the brand, and dictated much of the content of the food photography shoot we did in Glasgow as well.